iPad storyboard changes not happening? I started a xcode project for iPhone and now I'm working it also for iPad (Universal App). So in devices I put Universal and I create the iPad storyboard and make the necessary changes (in plist file and build settings) and now anything I edit in the ipad storyboard is done, obviously yes on code but not in the storyboard (I'm working without auto-layout so Its disabled in both storyboards). What can I do? I've checked everything and it's in order. Just a guess, but you might be getting an error showing up in your debug console. Make sure that the storyboard has an entry point. Select the viewContoller that is the entry point and check the checkbox for "is initial view controller" in the utilities pane. did you check the target> General> their did you give the storyboard for ipad? if you look, you can see the selection on iphone and your iphone storyboards name below it. Change it to ipad and enter the storyboard? Not the answer you're looking for? Browse other questions tagged ios iphone ipad storyboard or ask your own question. How do I specify both icons for a universal iPhone/iPad app? 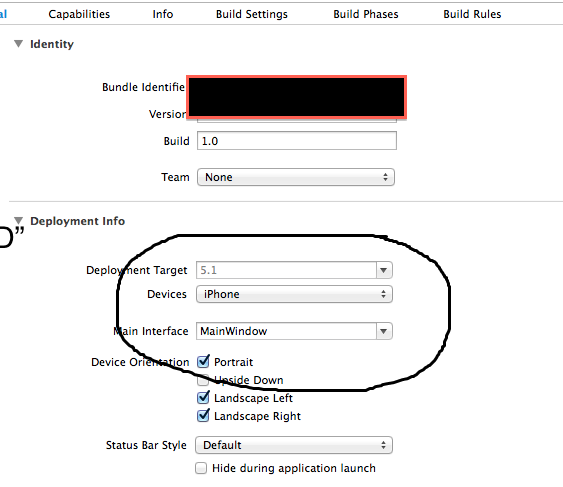 iOS Storyboard : Size-Class is changing at runtime for iPad?